• 49.8mm Diameter Light Engine to replace and retro fit MR16 Low Voltage lamps with COB LED retrofit module. • Super optics for excellent beam control. 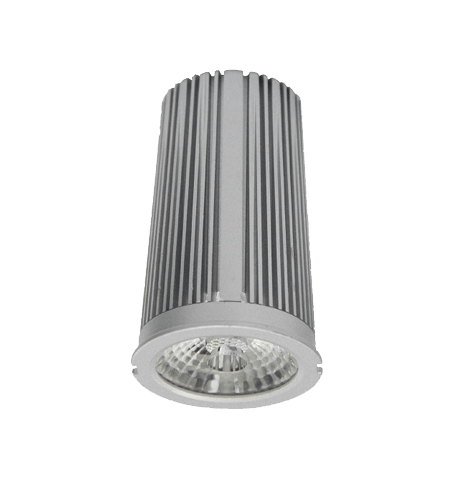 • Looks and performs like the original MR16 Low Voltage Halogen lamp. • Easy to fit to most existing MR16 down lights. • Supplied complete with fully dimmable driver. • Dims on trailing edge and we recommend Dinuy push button, Lutron Rania, V Pro or Richmond Zano dimmers. • The unit should be installed by professional electrician. Complies ISO 9001:2008. ROHS and CE approved. • Complies Building regulations Part L 1&2. • Access savings quickly without re decoration or the need to fit NEW down lights until ready.